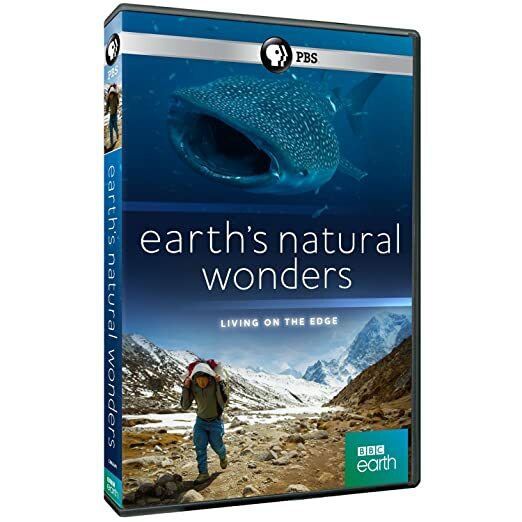 Earth's Natural Wonders - BUY THIS ON DVD!! Earths Natural Wonders explores the most extraordinary places on the planet and how their environments shape the lives of those who live there. From Mount Everests Khumbu Icefall to the Amazon to the Grand Canyon, visit six continents to learn how these natural wonders evolved and hear the rarely told stories about the challenges their inhabitants face. THEN SEND IN YOUR NAME, ADDRESS AND FIVE COMMENTS TO contests@efilmcritic.com orWeLoveHBS@aol.com. (Just one e-mail please.) Put "CLARK DON'T YOU WANT TO SEE THE GRAND CANYON?" in the subject line and cross your fingers. We will draw names and one of the prizes from PBS will be yours. Only 1 entry per household.